Now’s the Time to Prepare for Upcoming Changes. 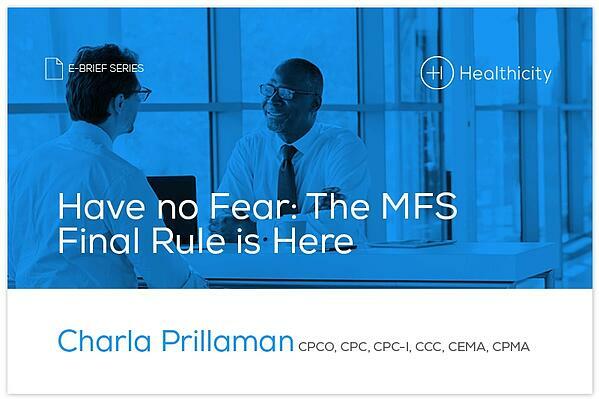 Every year we look forward to November when the MFS final rule will be published. This year, it feels like we’ve been waiting forever. Ever since the proposed rule was published in July we’ve been waiting in anticipation and talking about the potential impact of the proposed changes to EM documentation requirements and payment structure. It’s loomed over us, like a giant question mark, as we’ve contemplated the impact it might have if it’s implemented. Well, now the wait is over. It’s November and we have the final rule and we finally know which of the proposals will be implemented on January 1, 2019. So now it’s time for us auditors and coders to revise our processes to comply with the new expectations. For example, while the Documentation Guidelines for Evaluation and Management Services (1995 or 1997 version) remain in place, there’s a substantial change in the requirements for documenting the HPI (history of present illness) portion of the history key element. Sounds a bit daunting doesn’t it? Rest assured we, your community of fellow auditors, are here to help.